November - December, 2015 - Australian National School of Art Gallery. A cathedral of light. 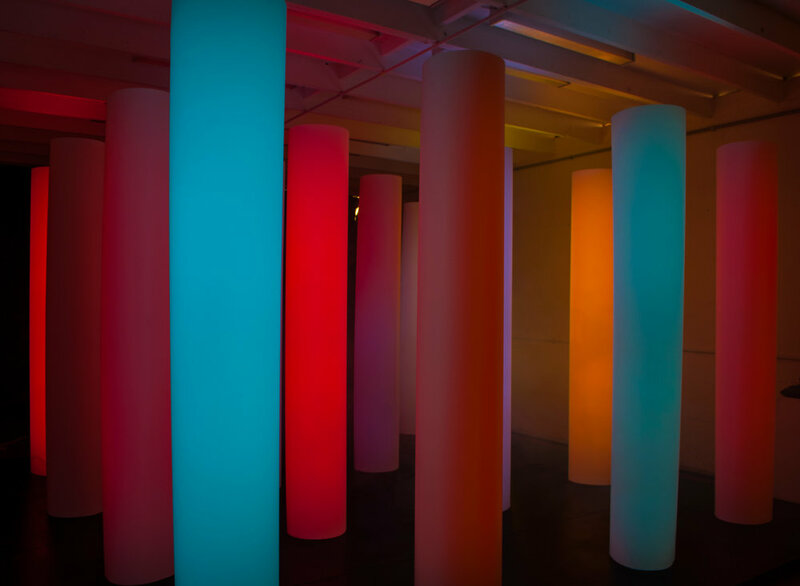 Doric Stacks transposed real-time data flows, including the audience's heart rate, into a sublime experience of light, colour, and sound. Datasets from our physical and online worlds were dynamically accessed and transcoded to an environment where physical and network experience coalesced. Each column was accompanied by a website that rendered a real-time browser simulation and could be viewed at anytime.